If we had to choose one word to describe Celebrity Cruises, it would be “style.” Sailing some of the classiest ships in the premium segment of the market (and three expedition ships), Celebrity stands out for its appeal to nearly all age ranges and walks of life. The line got its start in 1989 as a project of the Chandris family, who’d operated cargo and passenger ships in Greece and beyond since 1915. Celebrity made such a splash, so quickly, that it was bought by Royal Caribbean International just nine years later. It has operated as a sister line to Royal Caribbean ever since, while the trademark “X” in the line’s logo is a reminder of it’s origins: It’s really the Greek letter chi, for Chandris. From the beginning, Celebrity has been known for high-end design, cutting-edge contemporary art, superior cuisine, and great spas. Its newest ships, the Solstice class, take all that to the next level, with multiple dining options, innovative public spaces, and a truly high-end aesthetic. Fleetwide, the line offers a glamorous, exciting experience while also keeping its prices within reach of the mainstream crowd. The line jettisoned the last vestiges of the 1990’s Celebrity when it transferred the former Celebrity Century out of the fleet in 2015, leaving only ships built since 2000 in the line’s primary fleet. Celebrity has also been hard at work updating its Millennium-class ships (think Celebrity Infinity , Celebrity Millennium, Celebrity Constellation and Celebrity Summit) with features found aboard the line’s larger, newer Solstice-class vessels that include Celebrity Solstice, Celebrity Equinox, Celebrity Eclipse, Celebrity Silhouette and Celebrity Reflection. 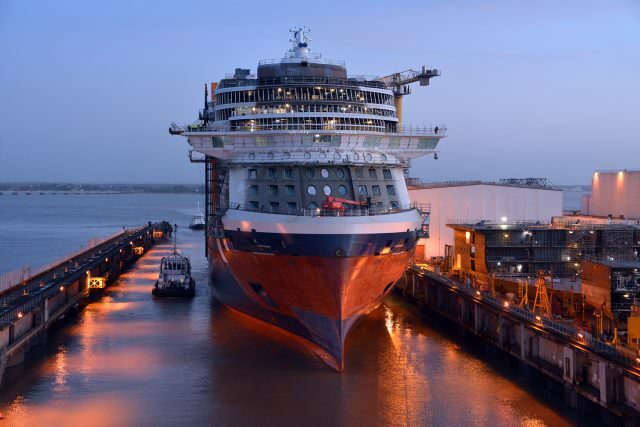 Things really ramp up with the debut of Celebrity Edge, the first of a brand-new class of vessel unlike anything else that has ever come before her. She makes her debut in late 2018, sailing itineraries to the Caribbean in early 2019. 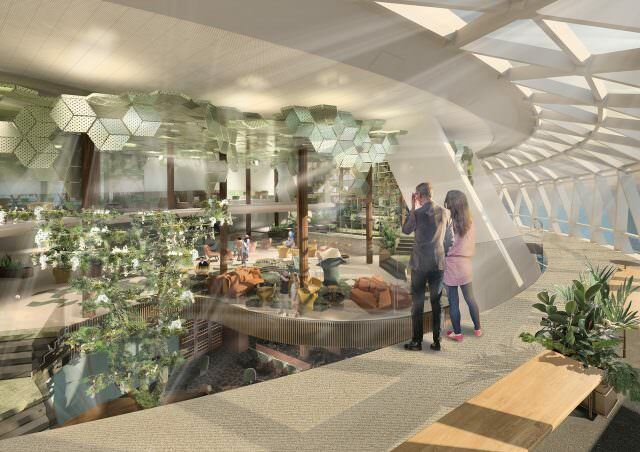 Eden will be one of the most unique spaces aboard Celebrity Edge. 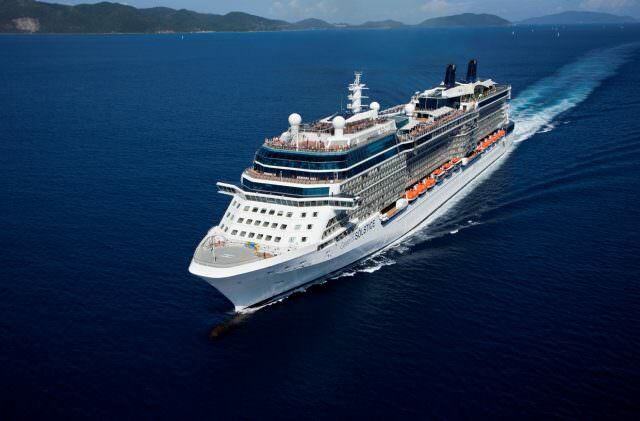 Photo courtesy of Celebrity Cruises. Celebrity is using the phrase “transformational” to describe Celebrity Edge in its marketing releases, and this doesn’t seem to be an understatement. Early renderings showcase a ship that marks a distinct departure from traditional cruise design. Then again, Celebrity has always been about pushing the envelope. Nearly all of Celebrity Edge’s accommodations will feature private balconies, while a small selection of Oceanview and Interior staterooms will still be available. All standard-sized staterooms are fitted with king-sized cashmere mattresses part of the exclusive Celebrity Cashmere Bedding Collection, and in-room automation allows guests to control and personalize stateroom preferences like lighting, shades, temperature and service (make up room / do not disturb) by using a small touch-screen device. Additionally, Celebrity states that its new Edge Stateroom with Infinite Veranda is 23 percent larger than comparable Veranda Staterooms aboard its Solstice Class vessels. Bathroom space is also larger aboard Celebrity Edge, with a 10 percent increase overall. But Celebrity has also shown renewed interest in its Galapagos Expedition product. What’s that? You didn’t know Celebrity operated a dedicated ship in the Galapagos? They do – and now, Celebrity is investing heavily in its expedition fleet in the Galapagos Islands. 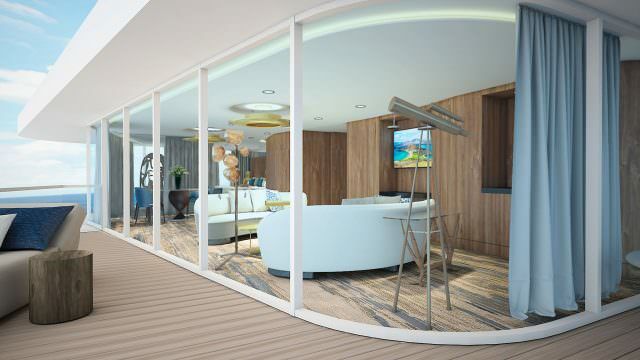 The ine recently introduced two recently-acquired vessels, Celebrity Xperience and Celebrity Xploration, and will debut its first-ever newbuild in the Galapagos, Celebrity Flora, in May of 2019. A real lawn at sea? Celebrity figured out how to make it happen. 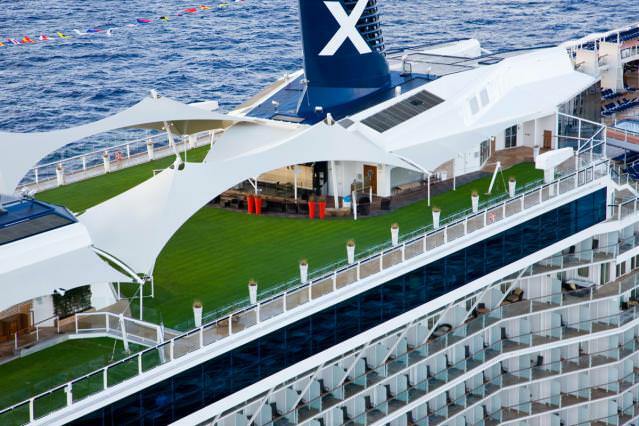 Photo courtesy of Celebrity Cruises. “Modern” is another word you could use for Celebrity. On the Solstice-class ships, you can check out an iPad from the guest services desk and take a self-guided tour of your ship’s art collection. iPads are also used as menus at the Qsine specialty restaurants aboard several of the Celebrity ships, and can even be bought duty-free on several Celebrity ships at the Celebrity iLounge, a high-style space where you can also take classes from Apple-certified staff, browse the web on MacBook Pro laptops, and buy other Apple gadgets. Fleetwide, the onboard atmosphere balances enriching experiences with others that are just plain relaxing and fun. Foodies can sign up for culinary tours, wine and mixology events, and “Food as Art” demonstrations. Guests interested in fitness and health can take a seminar on Chinese herbal medicine or acupuncture; get an actual acupuncture treatment at the spa; or take a yoga, spinning, Pilates, or tai chi class at the gym. There are also stargazing sessions, language-learning workshops, and talks by visiting experts from Smithsonian Journeys, tailored to the cruise region: archaeologists or art historians on Mediterranean cruises, marine biologists on Bermuda sailings, naturalists on Alaska sailings, etc. And then there’s pure fun: dance classes, game-show-style trivia contests, karaoke, video game sessions, and pool games — including pool volleyball matches between guests and the ship’s officers, who sometimes play fully clothed in their uniforms. Amble up to the futuristic Observation Lounge for a nightcap. 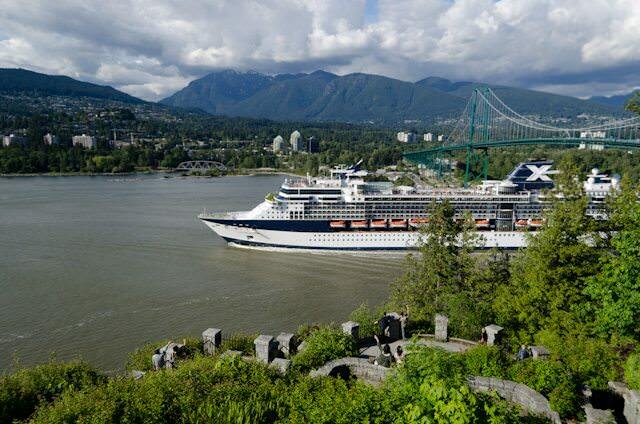 Photo courtesy of Celebrity Cruises. At night, Celebrity offers all the popular cruise entertainments, including Vegas-style musical revues, comedians, and passenger talent shows, but it’s the smaller touches that tend to stand out, like the a cappella singing groups that walk around the ship in the evening, performing in various lounges. Lounges in particular are a high point for the line, which offers plenty of quiet spots to get away from it all during the evening hours. While the older ships have a clubby feel to them, the line’s newer vessels are futuristic and modern. Both, however, feel very soothing at night, thanks to some clever design touches like recessed lighting and backlit accents. For kids and teens, the line offers a supervised program with different activities for the various age groups. There’s also group babysitting in the playroom, both late nights and for a couple of hours on port days. Dining-wise, Celebrity offers a stylish experience, with modern touches spicing up menus that, on the whole, are on par with other mainstream lines like Royal Caribbean and Holland America. Dining service is excellent, and the line’s main dining rooms are uniformly stunning across the fleet. Guests can opt to either dine traditionally — at a fixed time, with the same companions every night — or choose “Celebrity Select Dining,” which lets you vary your dining time day by day. In terms of specialty dining, the newer Solstice-class ships win the prize, supplementing their main restaurants and buffet with four specialty options each: the high-end Tuscan Grille for steaks and pastas; the European-themed Murano, featuring table-side cooking, carving, and flambé; Blu, a spa-cuisine option for guests occupying the ships’ AquaClass staterooms; and either an Asian restaurant or Qsine, which serves an eclectic international menu with super-creative presentations. 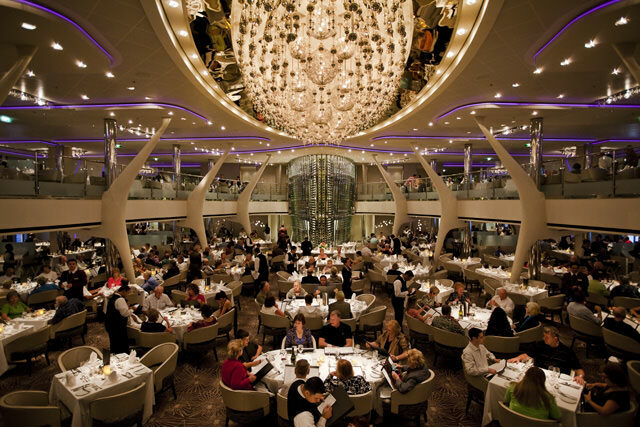 Celebrity’s older Millennium-class ships aren’t far behind on the specialty dining front. Recently, Celebrity has also begun retrofitting these ships with some of the best features of their newer Solstice-class fleetmates, so each of them now boast two or three specialty options apiece. On the downside, these ships have lost their former ocean-liner-themed specialty dining venues, which have been replaced with more modern decor. Along with style, Celebrity is known for its service, which rarely disappoints. In the restaurants, waiters and sommeliers are poised and professional, while cabin stewards are both friendly and precise. If you book a suite, you also get the services of a tuxedo-clad butler, who’ll bring you afternoon tea, shine your shoes, and otherwise make sure you don’t have to lift a finger. 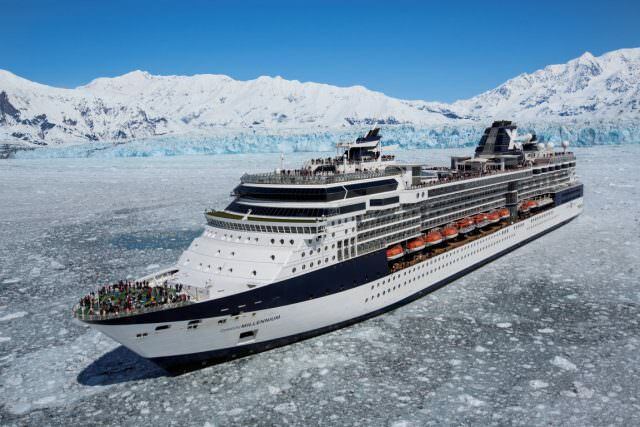 Celebrity sails a fleet of ships that range from the Millennium Class — Constellation, Millennium, Infinity and Summit — to the new Solstice class: Celebrity Solstice, Celebrity Eclipse, Celebrity Equinox, Celebrity Silhouette, and Celebrity Reflection. The brand-new Celebrity Edge makes her debut in the winter of 2018. Read more about this trendsettng ship here. Celebrity also has three dedicated expedition ships that sails year-round in the Galapagos Islands – Celebrity Xpedition, Celebrity Xperience and Celebrity Xploration. They will be joined by Celebrity Flora in 2019. Those desiring a “taste of luxury.” Celebrity Cruises positions itself in the “premium” category, meaning that pricing is significantly below the “luxury” category and quality of service and amenities is slightly above the “contemporary” category. Still, Celebrity aspires to deliver “tastes of luxury.” On a Celebrity cruise, guests can expect chilled towels upon return from shore excursions, fresh sorbet served poolside, elegant tea service, 24-hour butler service in every suite and more. Classy Folk. Available only in certain categories of veranda-class staterooms, Celebrity Cruises’ ConciergeClass includes everything from priority embarkation, fresh flowers and champagne on ice upon arrival to a pillow menu, plush duvets and Frette robes. Spa Lovers. Celebrity Cruises’ AquaSpa offers an array of treatments inspired by rituals from exotic cultures. 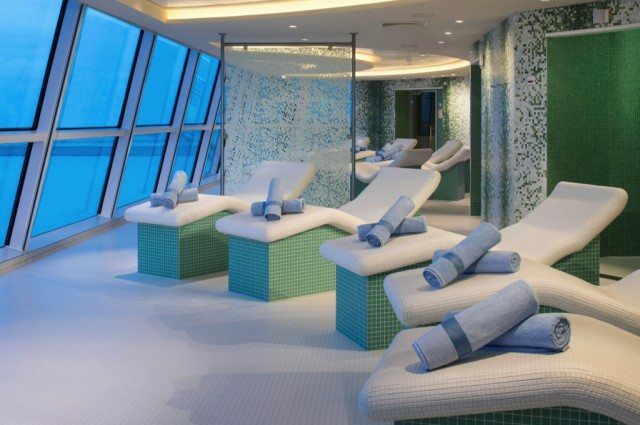 Celebrity cruise lines also delivered the first-of-its-kind experience, Acupuncture at Sea. Healthy Diners. 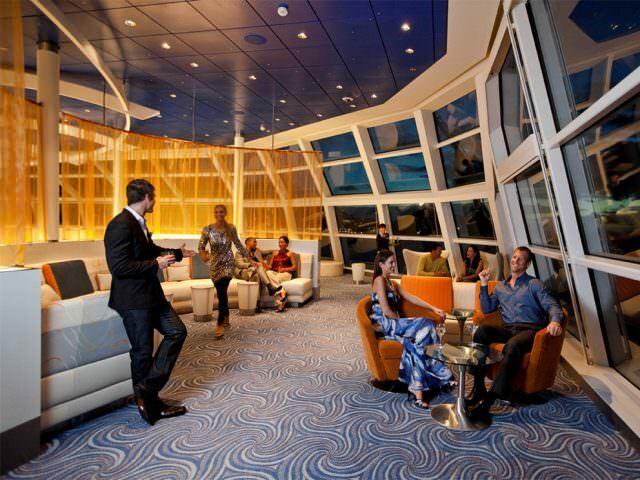 Celebrity Cruises AquaSpa Café offers light, healthy fare in a relaxing environment. Lifetime Learners. Celebrity Cruises’ Discovery Enrichment Series program features lectures that range from finance and astronomy, to wine education and politics, to history and culture. Computer Training At Sea offers workshops and instruction help passengers enhance their computer skills. 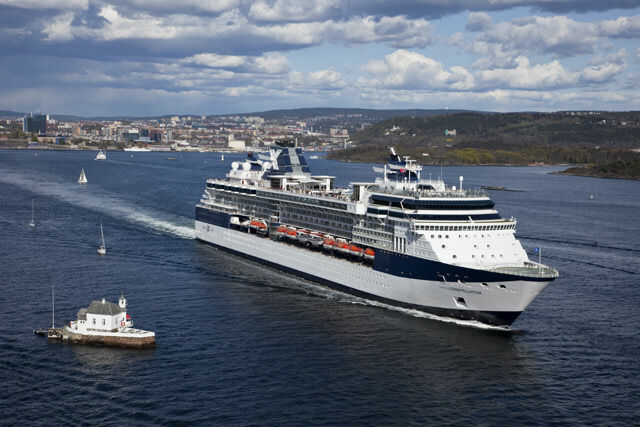 Celebrity Cruises currently serves destinations around the globe, with an emphasis on Europe, Alaska, and the Caribbean, the latter of which became a year-round destination for the line in 2017.. Celebrity also provides year-round, expedition-style cruises to the Galapagos Islands. What’s New On Celebrity Reflection? Celebrity’s Solstice: Best Of The Big-Ship Class In The Caribbean? Celebrity provided a shuttle service for passengers into Bilbao and back. I sailed with a cousin on Celebrity last month and we shared a cabin with separate credit cards for our stateroom keys. The experience on board was lovely. As a performer/musician my favorite part was the Summit’s new pianist, Jordan Peterson! However, after the trip, my card was charged for the entire bill ($8,000)instead of only my portion ($800). It has now taken three weeks, multiple hours of phone calls with our supposed Celebrity customer service rep, Mike, (who is near impossible to get a hold of! ), my credit card company, the bank, and being quite literally yelled at by a Royal Caribbean collections agent, who was not informed of the investigation to fix the mistakes to the bill on THEIR end … And the issue is still not closed, nor have we been offered a single form of restitution for all the trouble we’ve been put through. Not only that, but I was asked to solve this myself by calling my credit card company back and allowing a portion of the incorrect charge to go through! And when I’ve asked that we be compensated with a discount, or a credit of some kind, even a bottle of wine, I’ve been told a flat “no” followed by radio silence, without any further suggested solutions. I’m disgusted with the disrespect I’ve been shown, when no portion of this drama was our doing. I was nothing but patient and polite as they began to sort this out, but have reached my limit at this point. NO portion of the lovely vacation was worth the nightmare I’ve endured after the fact. You’re better off on a cruise line who cares!